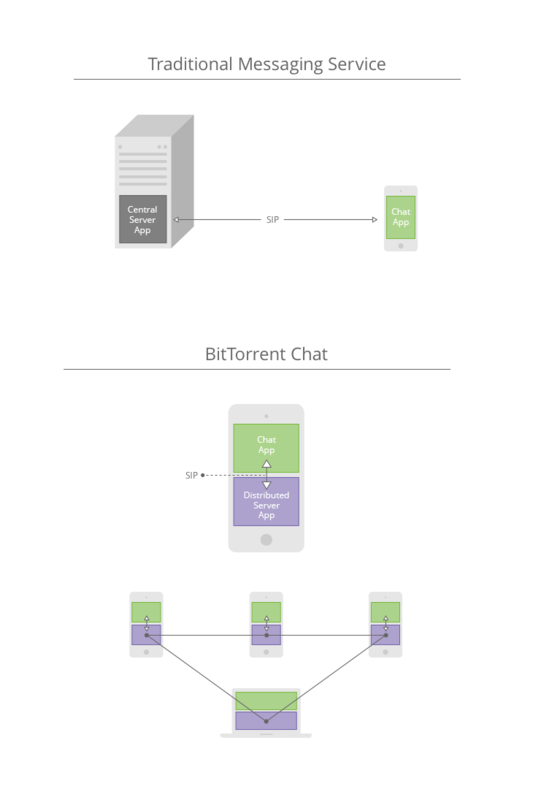 BitTorrent has joined the increasingly crowded post-Snowden market for anonymous online chat services with "Bleep", a decentralised voice and text communications platform. The platform uses the BitTorrent network to spread users' voice and text through nodes rather than a centralised server. Project head Farid Fadaie (@ffadaie) said the platform was built on a fully distributed Session Initiation Protocol server engine and a chat-and-voice-enhanced application that will be continuously updated. "BitTorrent does not track or store information on who is communicating with whom, or when communications happen," Fade said in a post. "We are not even storing data temporarily on servers and then deleting it. We never have the meta data in the first place. "Person A finds Person B through other nodes in the network. We never track or store who is looking for whom." A request to find one user would be bounced through nodes until the recipient was found. BitTorrent did not list any possible security or privacy weaknesses, including if attackers could spoof nodes to intercept or redirect communications. The re-worked and re-badged BitTorrent Chat app used public key platforms including curve25519, ed25519, and poly1305 for end to end encryption which he said "should be the new normal in the post-Snowden era". BitTorrent pitched the free Bleep app for use by general users, journalists and sources, and business and government bods. Users can sign up to the waiting list for the Windows 7 and 8 -only beta trial. Instant messaging apps and (unfortunately) custom crypto projects have surfaced thick and fast in the wake of Edward Snowden's NSA spying revelations. One of the more promising of these was the planned Invisible.IM chat platform which would use the Tor network to distribute chatter wrapped in OTR encryption with disposable and quickly scrubbed keys.